The Sullivans: Twas the Weekend before Christmas!!! Twas the Weekend before Christmas!!! The group at Maggiano's for dinner on Saturday night!!! 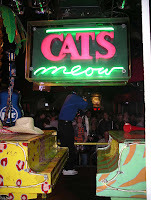 Cat's Meow in New Orleans...so much fun! It's definitely been an eventful week leading up to Christmas!!! 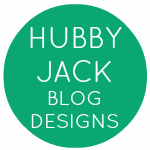 Last week I was in both New Orleans and Little Rock for work! Not much to do in Little Rock other than work but New Orleans was a blast! I even got on stage at the Cat's Meow and did karaoke to "Don't Stop Believin" by Journey! I was a hit and my coworkers were loving it! Thursday when I was in Little Rock I got the best news ever!!! Ben called to tell me he got a placement at Bank of America! We were both SO happy!!! For those of you that don't know, Ben has been in a rotational program with BOA for the past year and a half. With the economy, we were both a little worried about when/where he would be placed. Ben will be working as a Sr. Underwriter in the Dealer Finance group right here in ATL so we are very happy! I got home on Friday from Little Rock. Ben came home from work and we headed over to Melissa and Chris's for their Christmas Poker Party! We had a really good time! The Sullivan's hit it big that night. We got a binocular flask and a Spider Man Slip-n-slide in the White Elephant drawing (add some jello to a slip-n-slide and it's a hit at any party) AND Ben won the poker tourney. We walked away from the night with $20 and two great gifts!!! Not too shabby if I do say so myself!! Saturday I wrapped, wrapped and wrapped, and then we got ready for our holiday group dinner at Maggiano's. My friend Grace set this up for us. Eleven of us gathered and ate and ate and ATE! But man was it good! After dinner Ben and I had a drink at Amanda's house and then headed home for the night! Sunday I tried out a new running trail in Alpharetta but I wasn't too thrilled with it so I didn't run that long. After one last Christmas shopping trip, I came home and Ben and I made White Chicken Chili for dinner. It was SOOOOOO Yummy and really easy! So, today Ben and I will be heading to Spartanburg to spend Christmas with my family. I'm really excited!!! Tonight we'll be going to dinner with Johanna and Steve and my parents! Christmas Eve and Christmas Day will be spent hanging with My parents, My aunt and uncle, my sister and bro-in-law and my grandma! I will definitely post an update and pictures when we get back in town on Saturday! CONGRATS TO BEN for the placement!!! That's awesome!! And a big sigh of relief for you two! Umm. Did you do the slip n slide with a wet suit!? Oh the difference in climate 900 miles away. Hip Hip Hooray for Christmas Vacation!! !